Proceeds from this book are supporting the work of The Farming Community Network, a voluntary organisation and charity that supports farmers and families within the farming community through difficult times. To order, click on the Paypal button below (you don’t need an account of your own and £2.80 postage will be added) or email sansomes@hawford.farm if you have any questions or requests. Also available to buy on line at Amazon. Please email directly if ordering from overseas. 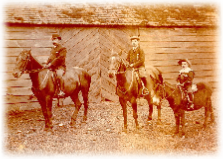 A fascinating insight into a year in the life of Isaac John Sansome, a Victorian farmer from Claines, Worcestershire, England. The diary has been carefully transcribed from the original and meticulously researched by his great grandson, Geoff Sansome, for the names, places and events mentioned. 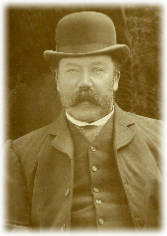 Isaac John was a tenant farmer, whose wife had just died and in 1883 was supporting his two young daughters. 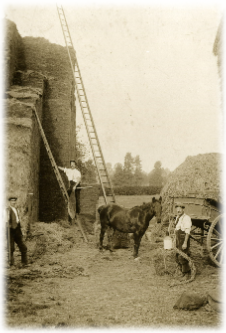 Farming on the outskirts of Worcester, he traded with the farmers, gentry and tradesman around and in Worcester and kept a careful record of his accounts within his diary. His daily routine, acquaintances, social life and general seasonal ups and downs are detailed. 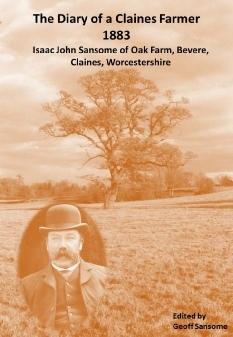 The book contains a range of local period photographs and a set of watercolour illustrations of farm animals by the Claines artist, the late John Coleman.